When it comes to car rental insurance, it's always better to be safe than sorry. Don't know if you need insurance? First, determine whether you are already covered for rental car collision damage. If it turns out that you need supplemental coverage, know that there is a reliable, less expensive alternative than the insurance you'll be offered at the rental counter. AutoSlash is excited to announce a partnership with Sure to offer exceptional rental car coverage at a truly fantastic price. Sure offers inexpensive plans that start as low as $6 per day (depending on your state) — that's less than half the price that rental car companies charge. Sure's coverage is primary. That means if you have an incident, you won't have to file a claim with your personal auto insurance policy and jeopardize your premium—or pay your deductible. Sure's coverage includes Loss of Use and Diminution of Value. Many personal auto insurers and credit cards don't. Sure's coverage includes towing. Many personal auto insurers and credit cards don't cover this service, and even rental car companies' own collision damage waiver often doesn't. Sure provides a generous $100,000 of coverage for repair or replacement to the damaged vehicle. That's enough to cover the full value of virtually any car you'll find in any major rental fleet. Credit card coverage often caps out at half that figure or excludes larger SUVs, vans, trucks, and luxury cars, even if it's a free upgrade. Sure is easy. It takes just a few moments to enter your information and choose the plan that best fits your needs. Sure is flexible. If your plans change, you can cancel your purchase at any time. And most importantly, Sure's coverage is underwritten by Chubb, one of the world's oldest, largest, and highest-rated insurance companies. You'll know that your coverage is secure. Coverage for tire damage. Very few personal auto insurers or credit card policies include tire coverage—and it's one of the most common types of damage you might encounter in a rental car. Coverage for theft or damage to personal property. This can help you avoid paying a deductible (and filing a claim) on a homeowner's or renter's insurance policy. Reimbursement for lost keys. Given that a key replacement on a modern car can exceed $250 and that virtually no other coverage (even the rental company's own) will cover this, this is a great benefit. Repairs if you fill the tank with the wrong type of fuel. Diesel in a gasoline engine can do a lot of damage, and no other coverage we've seen offers protection for this mistake. You'll want to review Sure's policy details and terms and conditions. There may be limits on damage or loss, but we think Sure is better than most other insurance offerings out there. Sure isn't able to write policies for residents of every state, but it's adding more all the time. You also must have a U.S. address in order to sign up for coverage. Buying car rental insurance with Sure couldn't be easier. Just fill out this brief form to make sure you're eligible and then choose a plan. We're always happy to help you through the rental car process, and our expert team is standing by to answer any questions you have about getting the best deal on car rental insurance. Just know that we're not licensed agents, so if you have specific questions about coverage, be sure to contact Sure directly. And of course, if you're looking for a deal on a cheap car rental, be sure to get a quote for the cheapest car rental or track your existing reservation for an even better deal. Disclosure: We are always committed to providing independent, highly researched advice to our customers. 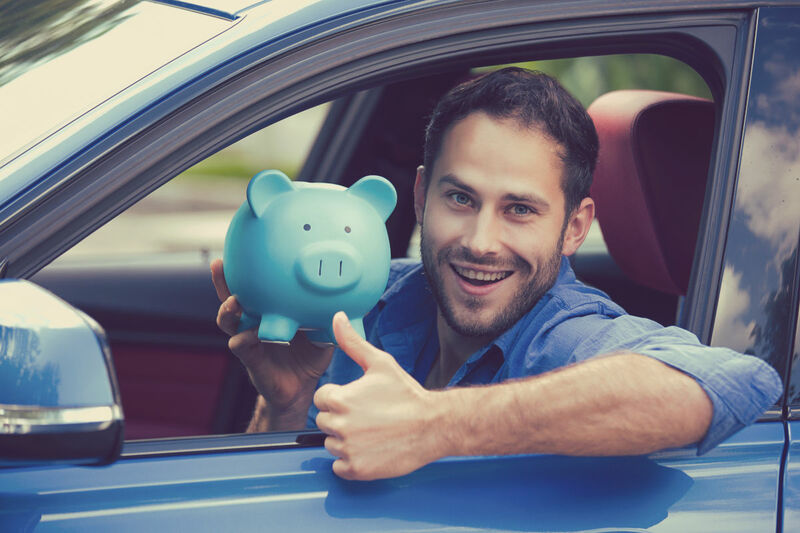 AutoSlash receives a small fee each time a reader buys car rental insurance through this offer. Thank you for your support. Content and associated insurance products are provided by Sure HIIS Insurance Services, LLC ("Sure"), a licensed seller of insurance. The above does not in any way constitute an endorsement or referral by AutoSlash of Sure's products or services. The coverage referenced above may not be offered in all states.